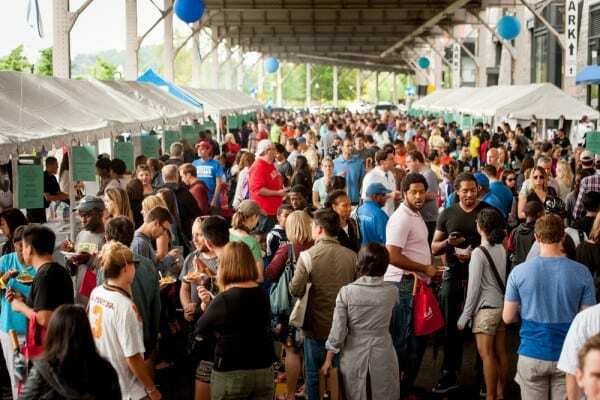 Washington, D.C.’s most anticipated epicurean festival, the annual Taste of Georgetown, will celebrate its 22nd year on Saturday, October 3, 2015 from 11 am - 4 pm with creative tastes from over 35 of the neighborhood’s best restaurants, as well as an expansive Craft Beer and Wine Garden. This foodie event takes place in the heart of Georgetown, on K Street NW, between Wisconsin Avenue and Thomas Jefferson Street and along the scenic Georgetown Waterfront. This longstanding event in Georgetown is hosted by the Georgetown Business Improvement District (BID) and benefits the Georgetown Ministry Center’s services supporting the homeless. The event began over 20 years ago by Grace Episcopal Church in Georgetown and its former Rector David Bird and member Robert Egger, who went on to found DC Central Kitchen. The Nordic Embassies, Twins Jazz Club, the Phillips Collection and Dupont Circle Festival/Jazz in the Circle are excited to present the ninth annual Nordic Jazz Festival in Washington, D.C., June 20th – 27th, 2015. Internationally acclaimed performers from Denmark, Finland, Iceland and Sweden will present the modern sound of Nordic Jazz over the course of 10 concerts. The Washington Humane Society’s 28th annual black-tie gala will be held on Saturday, June 20, 2015 at the Washington Hilton. This event is the only black-tie event where movers and shakers of Washington DC can bring their canine companions as their dates. The Bark Ball draws many of the area’s most illustrious residents and their four-legged friends, all in honor of the programs and services of the Washington Humane Society. The guest list always includes leading figures from the political, media, entertainment, sports, and business worlds. Bastille Day 2015 will celebrate “Lafayette returns to America” and the spirit of freedom the United States and France have shared, and owed to one another, for the last two centuries. In 1780, the French frigate the Hermione carried the Marquis de Lafayette to America, where he played a pivotal role in America’s bid for independence. This summer, an authentic recreation of the Hermione will sail to the U.S. — and to celebrate the spirit of freedom, a very special Bastille Day event at the French Embassy will transport you and your guests to a supremely elegant and romantic 18th century grand soirée!